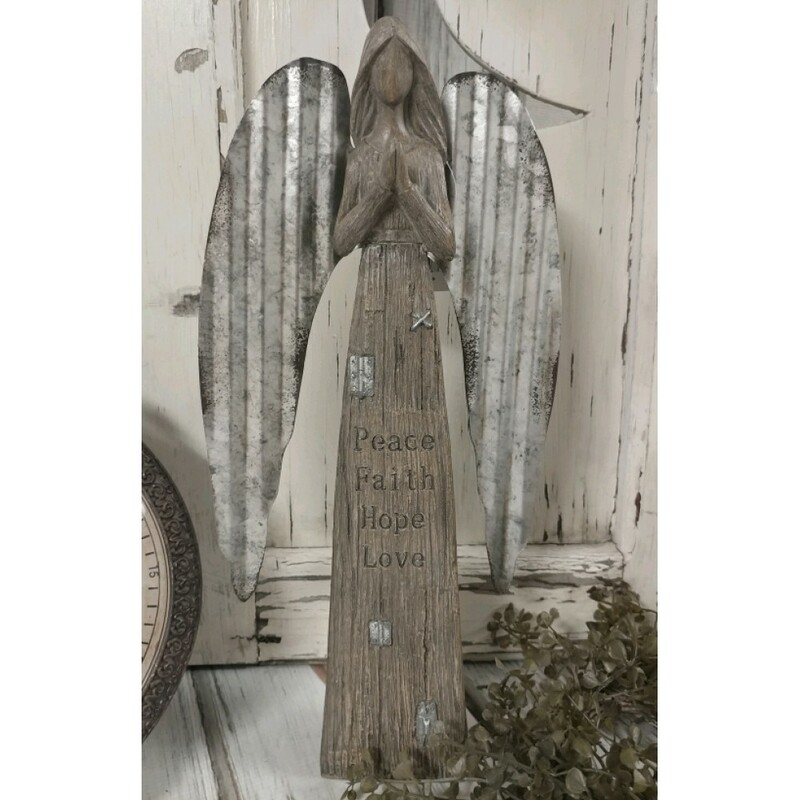 This inspirational angel is sure to add a lovely feel to wherever you place her, so versatile, that she is perfect for any decor. 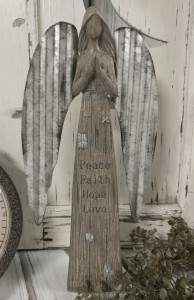 Her rustic galvanized wings are approx. 6" wide from the tip of one to the other and she is approx. 13.5" high.